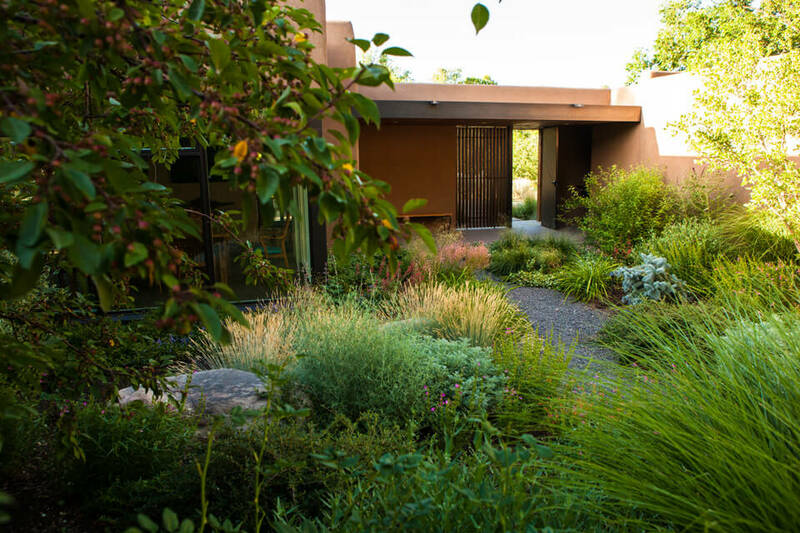 This walled compound is sited low in the landscape near the Santa Fe River where the Acequia Madre flows through the gardens, deer graze in the Bosque and an old apple orchard once thrived. 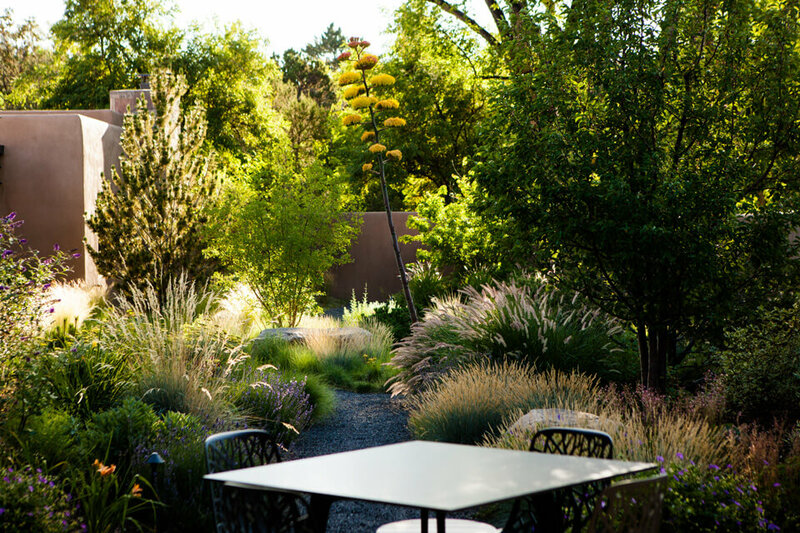 Because the built environment is oriented to the south, the path of the sun is noted throughout the day and the season—sunlight filters through large cottonwood and elm trees, intensifying in open exposed areas. 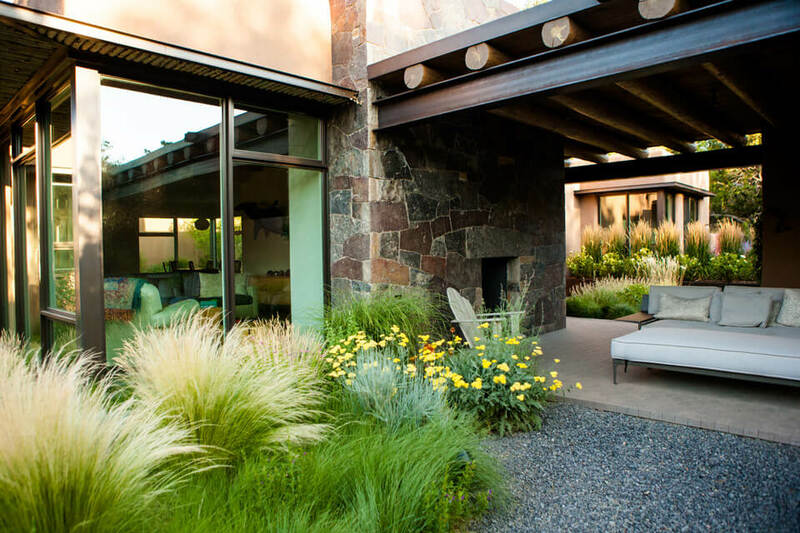 Within the compound, gardens surround the home and its generous living portals, creating a seamless interface of home and garden. 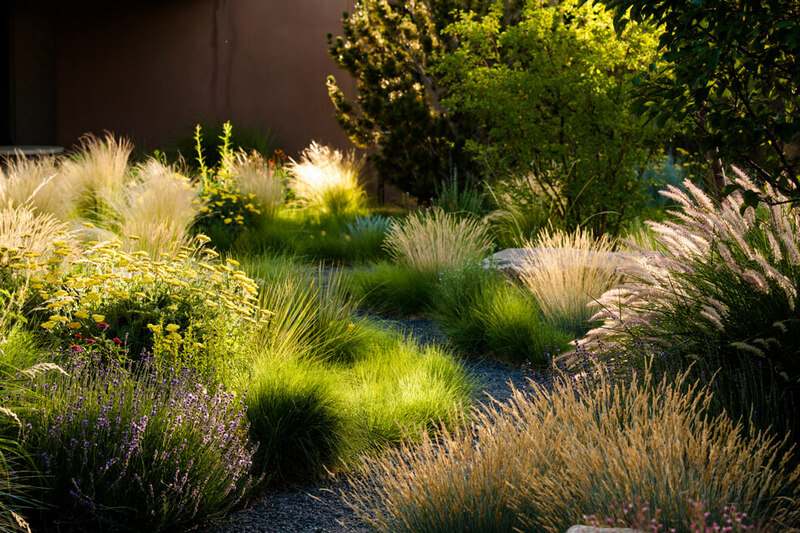 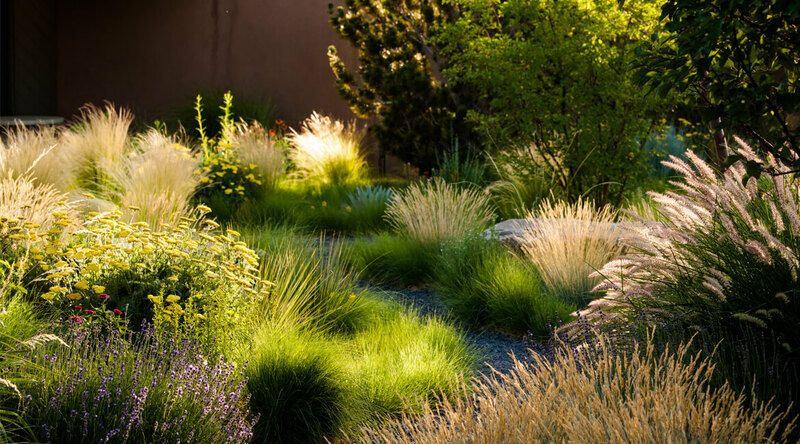 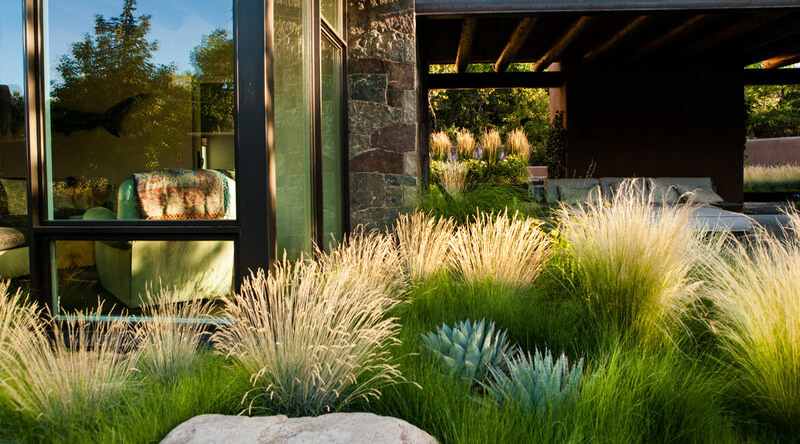 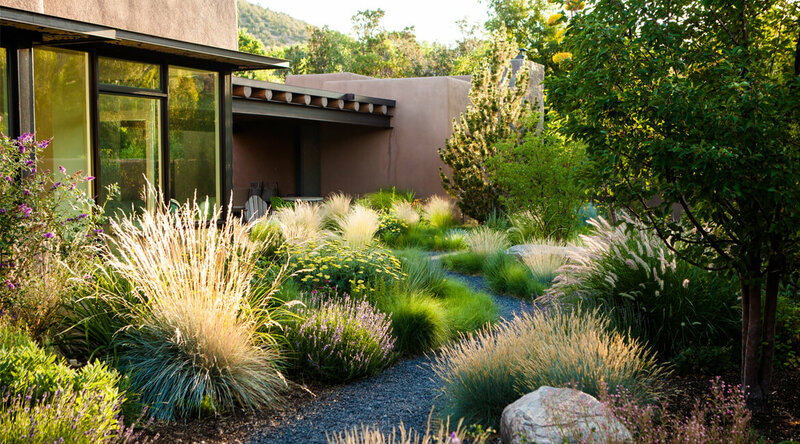 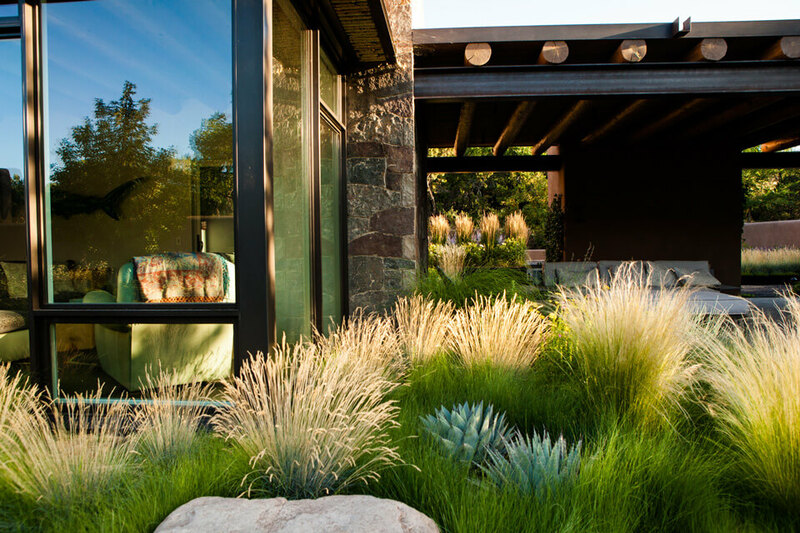 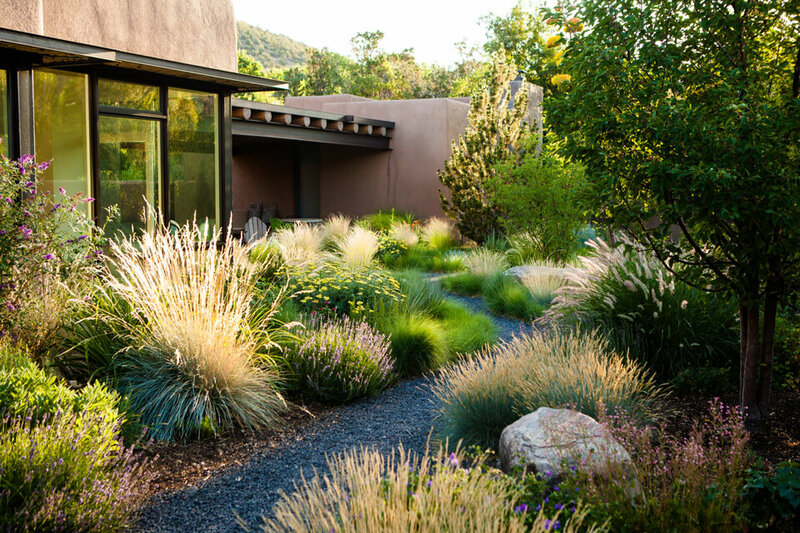 Large river-washed boulders anchor the main courtyard garden and contrast with the feathery grasses and drifts of perennials that make up the constructed meadow. 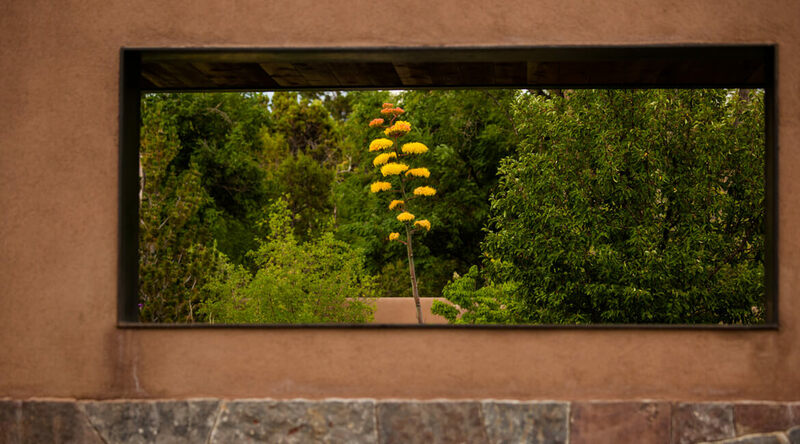 Blue agaves and yellow-green threadgrass pop against darker green foliage in the garden. 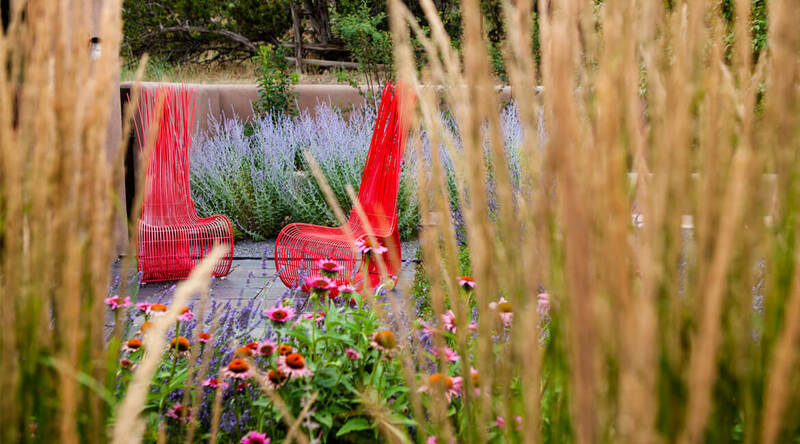 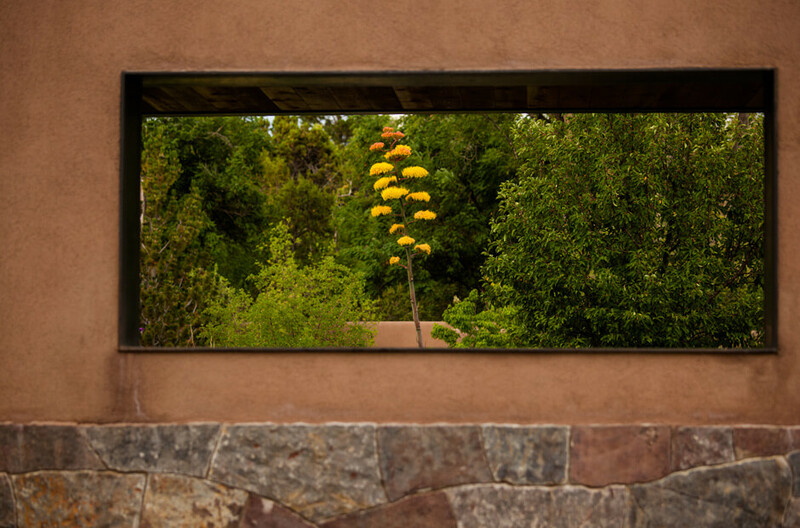 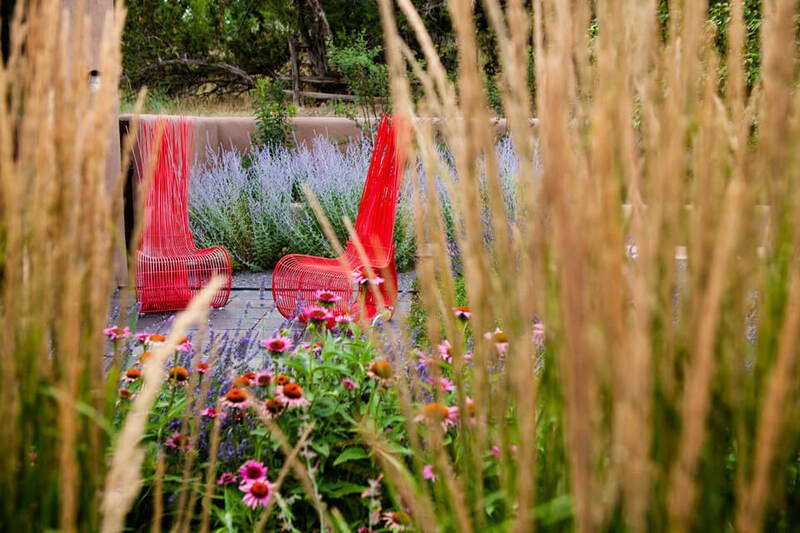 The upper courtyard is a series of rectilinear steel retention walls where hedges of yellow roses are layered with lines of plants including Karl Foerester grass, lavender, geranium, penstemon and blue fescue. 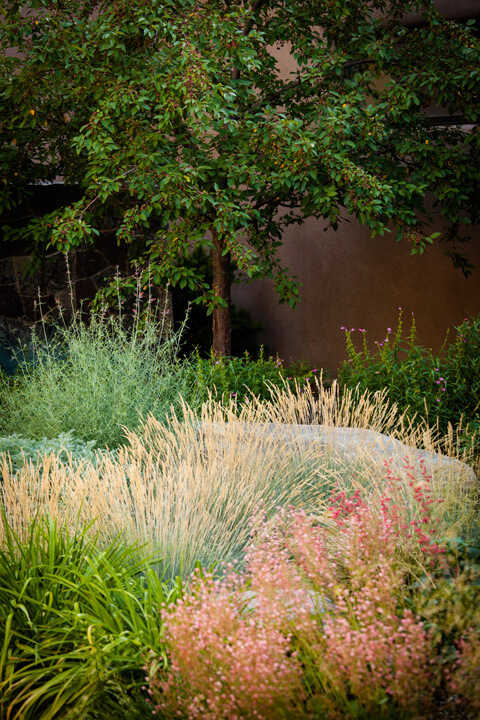 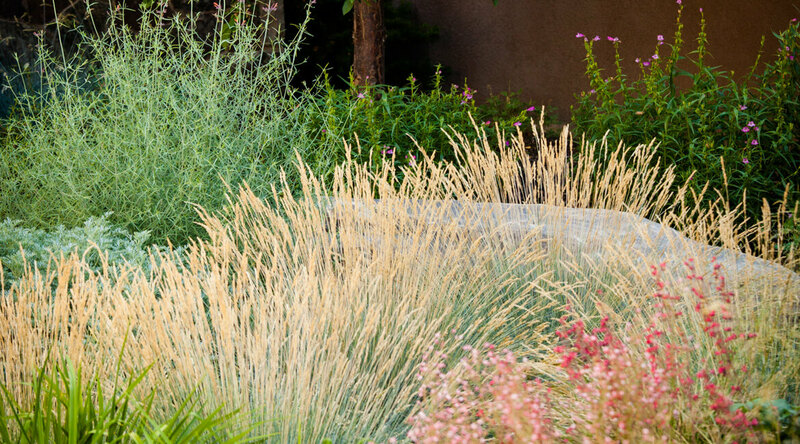 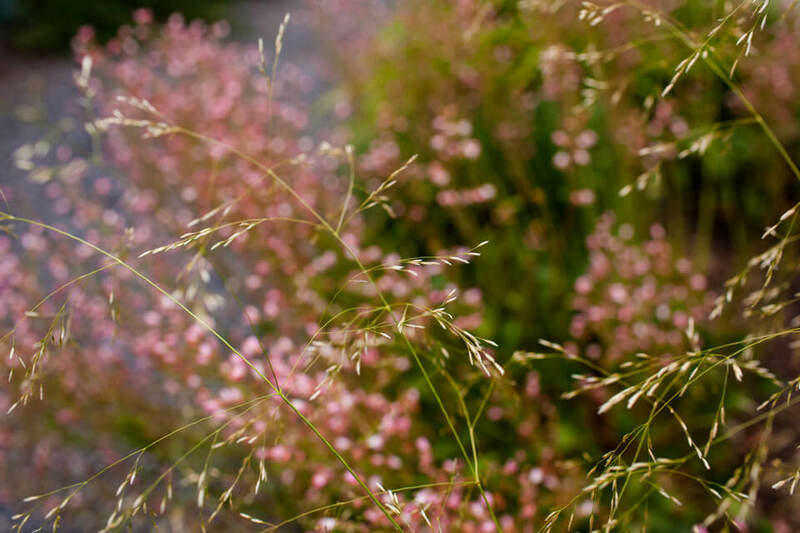 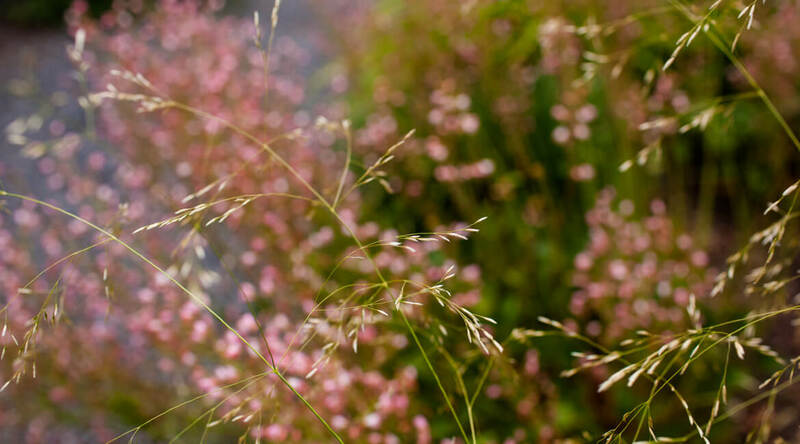 A square of buffalo grass is a simple mass of soft green that meets the acequia before the upper tier of native plum and Austrian copper roses cascades over the ditch. 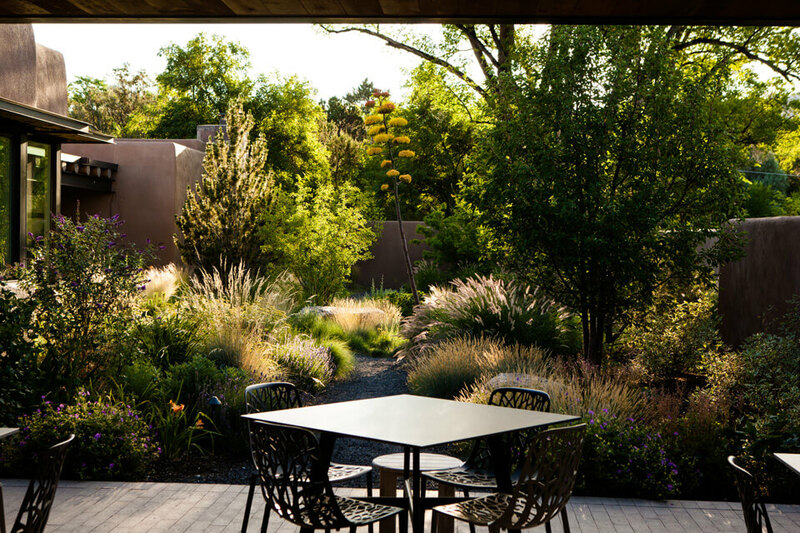 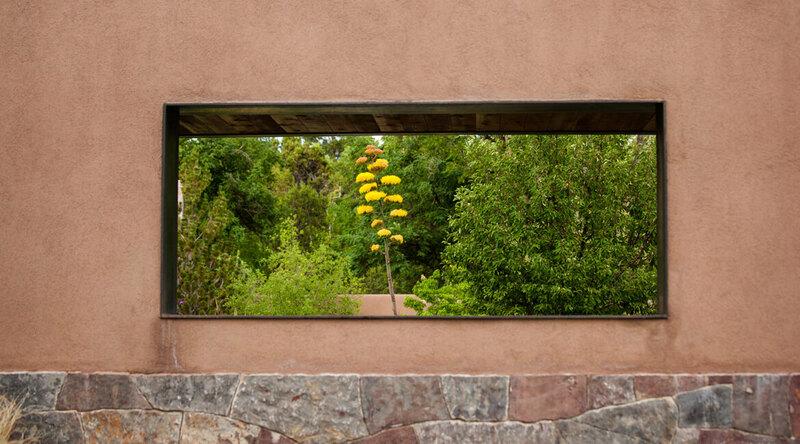 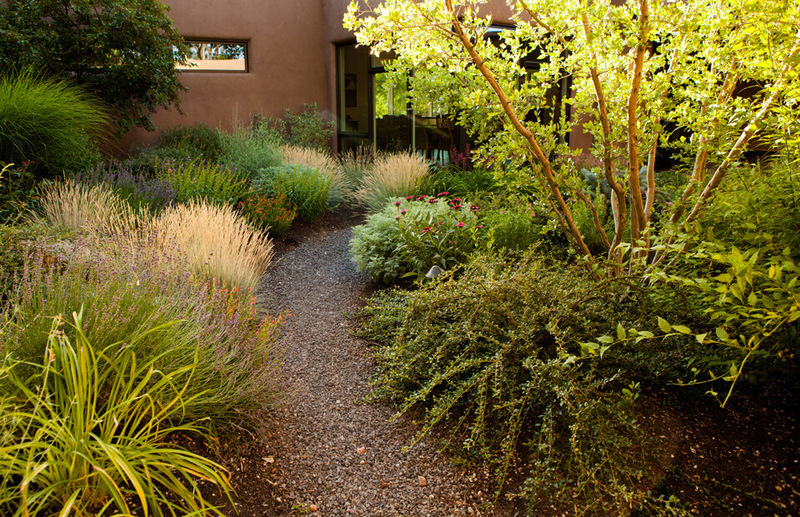 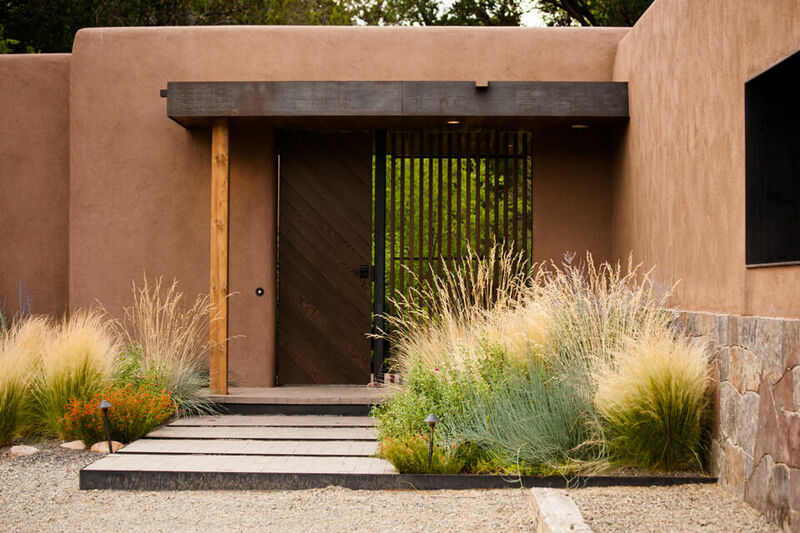 An entry courtyard also contains a portion of the Acequia Madre, and clusters of shrubs and perennials provide year-round interest from interior living spaces. 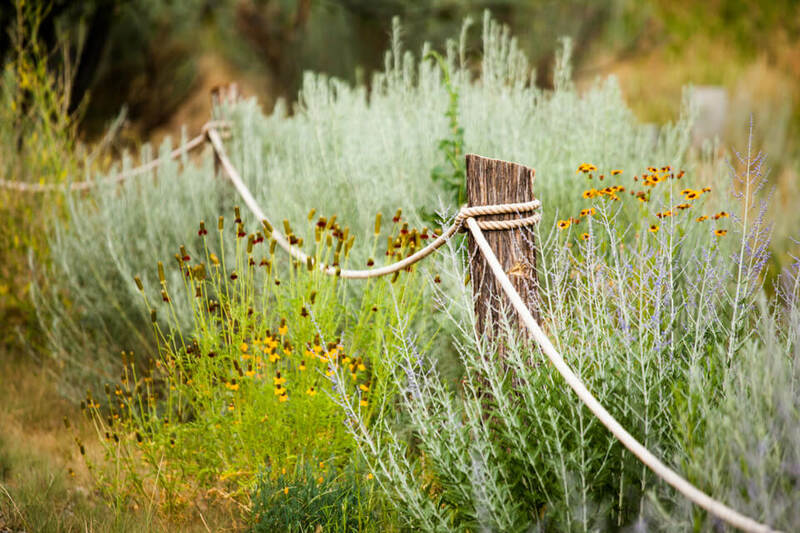 The old apple orchard is being restored with heirloom apple trees, which are under-planted with bee attracting wildflowers, legumes, and grasses. 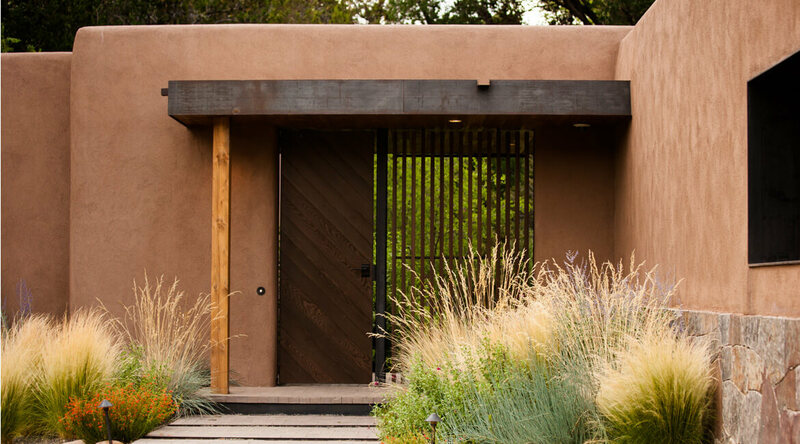 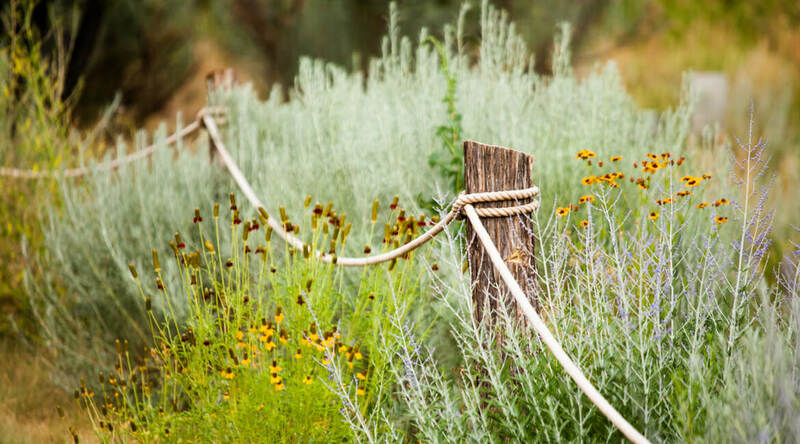 Recycled tile patios, rope fencing along the driveway, LED low-voltage lighting, and large cistern capacity all contribute to the function and beauty of the property.